Today I went to my first baby shower. I was invited by a lovely lady from my team who’s due date is in December but we’re pretty sure she’s going to pop anytime! 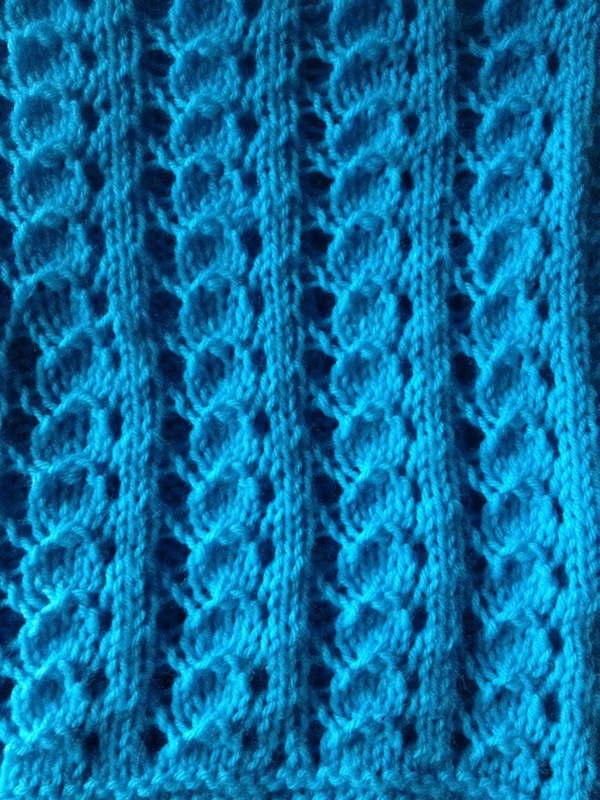 I cast on 80stitches with 6mm needles, did a few rows of garter stitch and edged with 4 stitches each side of garter before doing pattern in middle. 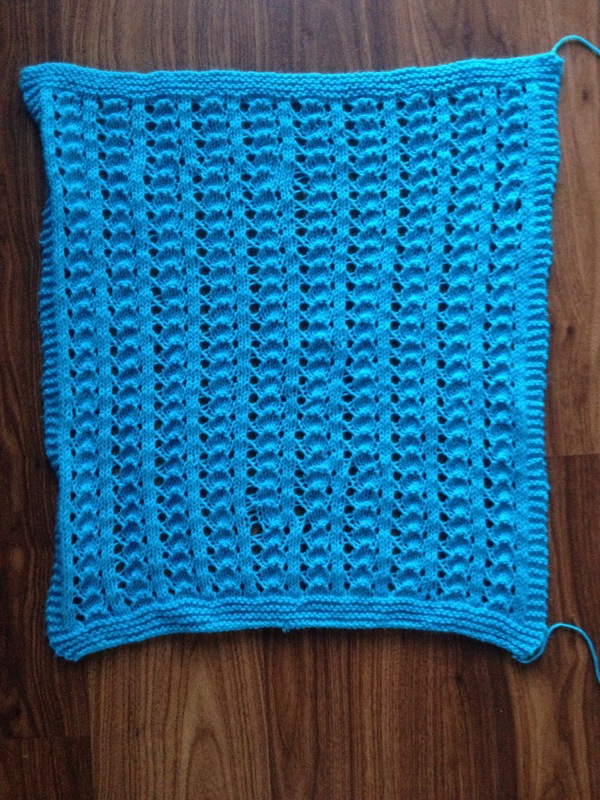 Eventual result is a blanket about 20x20inches which is hopefully a good size for car seats or prams. I really enjoyed making this and might start making some in advance of future showers! If you’re just starting I recommend a copy of the knitting for dummies book. I used to have it constantly lying open for how to pick up stitches or join threads or things like that. It’s still open now fora cable pattern!